Each year, there are millions of reported cases of head lice infestations. Still, there are even more that go unreported across the country. According to the Centers for Disease Control (CDC), between 6 and 12 million children are affected by head lice each year. Unfortunately, the number of reported cases rise each year. More children come home from school, summer camp, or a sleepover with head lice than ever before. There are a number of reasons for the rise in head lice infestations. We’ll dive into those now. There are numerous factors that have led to an increase in head lice infestations over the years. Most recently, “super lice” have overrun schools and public places. There are other factors to consider, though. Super Lice – Let’s begin with super lice. According to reports, 42 of 48 states have tested positive for super lice infestations. These extreme lice have mutated and evolved throughout the years to withstand chemicals and insecticides designed to kill head lice. It is harder to rid the scalp of super lice without proper procedures. Ineffective Treatments – Unfortunately, many parents opt for a trip to the supermarket instead of calling for professional lice treatment. Any product you find on the shelves of the local grocery store or pharmacy will likely fail to treat head lice. The chemicals just do not work (see: super lice). In fact, most of these chemicals cause more harm in the long-run. Socialization – Today’s children, despite the prevalence of gaming devices and television, tend to be more socially active. They form close relationships with their classmates and friend groups. With head lice being spread via head-to-head contact, such closeness often leads to the spread of an infestation quicker and more effectively than ever before. Home Remedies – Like over-the-counter medications, many parents opt for home remedies to solve their head lice troubles, like hot air, olive oil, and coconut oil. Unfortunately, such “solutions” fail to resolve the itch and discomfort. Head lice may persist. The only surefire solution to properly treat head lice these days is via professional head lice treatment. 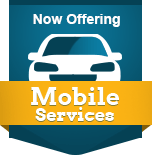 By scheduling an appointment with a lice expert, you ensure that your children and family are free of head lice for the foreseeable future. Often, professional lice treatment offices utilize safe, chemical-free products designed to relieve the symptoms of a head lice infestation and stop the spread of nits, without causing any more harm to the scalp. You won’t find the same level of care from over-the-counter medications, though. Lice Lifters has designed a three-step lice treatment process that is guaranteed to resolve the issue altogether. We begin with a thorough head check. Then, we move to a professional comb-out. Lastly, we apply our non-toxic treatment solution to kill any lice and nits on the scalp. Schedule a lice treatment appointment at our Frisco location today by calling 972-805-1308! Dealing with head lice is troublesome. For those who have never experienced the discomfort of head lice, the newfound sensation of bugs crawling on the scalp can be overwhelming. For those who have previously dealt with a lice infestation, promises are often made to never let it happen again. It does, though. Head lice spread far too easily due to numerous factors, such as the rise of super lice or lack of effective treatments. Thankfully, you can take steps to prevent head lice. By taking such precautions, you can prevent head lice from affecting your children or family for the foreseeable future. Typically, lice spread via children more often than in adults. The primary reason for this is because children tend to be in proximity to others more often throughout the day. Both in the classroom and on the playground, kids often have head-to-head contact more frequently than an adult in an office setting, for example. As such, ensuring children understand boundaries and how to avoid head lice can be critical. Many may not understand head lice completely, though, which can add to the issue. If you would like to significantly reduce the risk of head lice, ensure you and your children do not share head-touching objects too often with others. Such items may include combs, brushes, hair clips, scarves, towels, headsets, and hats. When children play, they typically put their head too close to others. If another child has head lice, this proximity may lead to the spread of lice. Unfortunately, few children want to avoid playing with their friends. Instead, ask your kids to abstain from playing with a child who has head lice until the issue is resolved. In most classrooms, and even at home, there are shared spaces for hats, jackets, and scarves during the day. These spaces, while convenient, are breeding grounds for head lice. Consider having your child keep their personal belongings away from common areas for a time. To be completely safe, even adults should consider doing the same. Remove any and all nits from the scalp. Missing a few nits is a sure way to keep lice going for quite some time as they will eventually hatch and grow into adult lice. Do not hesitate to warn others, especially other parents. Ensure the parents of your children’s friends also check their own kids for head lice. Children who are suffering from a head lice infestation deserve prompt treatment. Schedule professional head lice treatment with Lice Lifters in Frisco by calling 972-805-1308. We’re here each day for your family! Thanks to the prevalence of blogs online, do-it-yourself solutions and home remedies have become increasingly more common when it comes to head lice treatment. Many parents wish to save money while ridding their children or home of head lice. Unfortunately, despite what you may have read online, most of these natural home remedies fail to solve any sort of head lice infestation. The newest method: coconut oil. 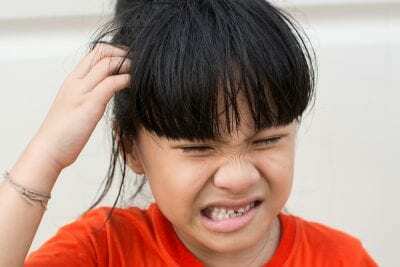 Is coconut oil effective at combating head lice? Let’s dive into the home remedy further together and determine whether coconut oil is worth your time or not. If you have ever had the misfortune of dealing with head lice, then you already know there are numerous home remedies touted online. From extreme heat to mayonnaise, these methods are said to work miracles, according to bloggers. These are not professionals, though. Many have ulterior motives, such as getting you to buy into their product line or sign up for a monthly newsletter with special offerings. The reality is that nothing but professional treatment is fully effective at stopping head lice. That’s not to say coconut oil is completely useless. The majority of head lice can hold their breath for four or more hours. As such, adult head lice will not die in coconut oil. However, the viscosity of coconut oil does make combing out adult lice much easier. The lice become sticky and slow in the mixture, and do not move as quickly to hide. As such, when performing a home comb out, a little coconut oil around the scalp can make the task easier. Do not expect coconut oil to stop a head lice infestation, though, as it simply won’t happen. Believe it or not, there are risks associated with the use of coconut oil to treat head lice. There is a low chance that you or your child may have an allergic reaction to the coconut oil. As such, it is highly recommended that, before applying any amount of coconut oil to the scalp, you test a little on the arm or leg beforehand. If the coconut oil triggers an allergic reaction, avoid using it on the head whatsoever. Overall, coconut oil is okay at slowing down head lice for a comb-out, however, it is not a proven home remedy. The only surefire method to stop head lice is via professional head lice treatment. The experts at Lice Lifters use non-toxic treatment solutions and proven techniques to rid the scalp of head lice once and for all. These methods are guaranteed to work with just one treatment. There are no in-office follow-up appointments, no messy oils to apply, and no guesswork involved. If you need to schedule prompt head lice treatment, contact Lice Lifters at our Frisco location by calling at 972-805-1308. No other lice treatment works as effectively or safely as our tried and true methods!